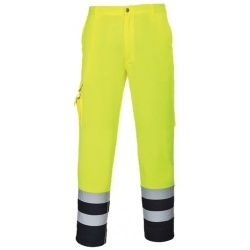 Our hi vis trousers have been designed to be comfortable, durable, and functional. 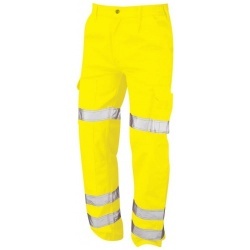 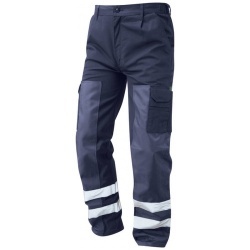 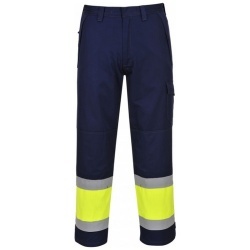 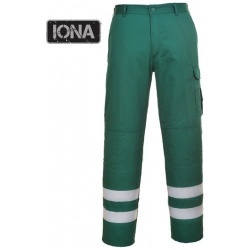 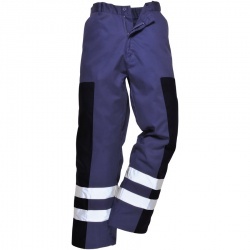 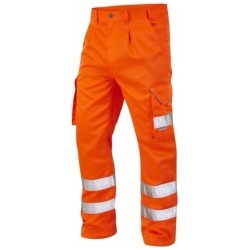 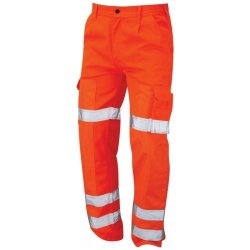 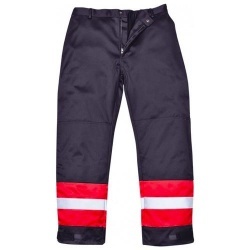 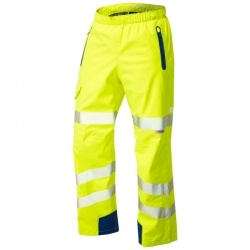 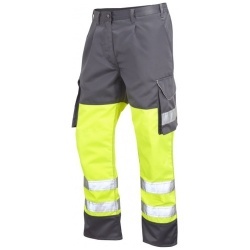 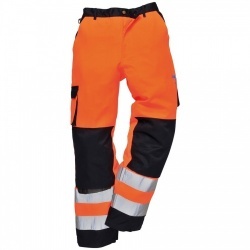 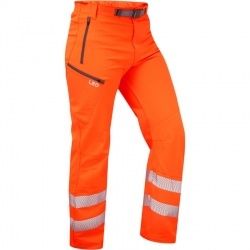 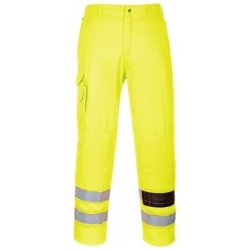 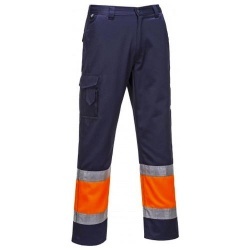 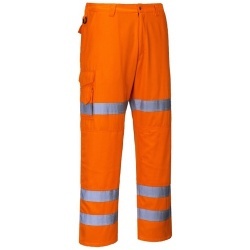 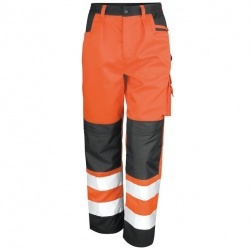 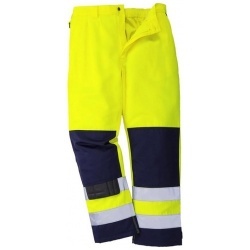 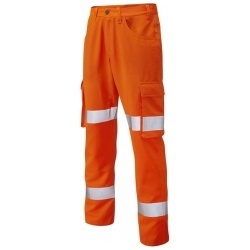 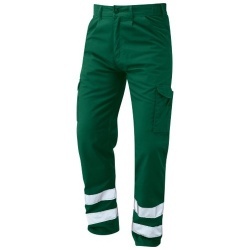 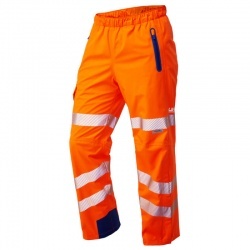 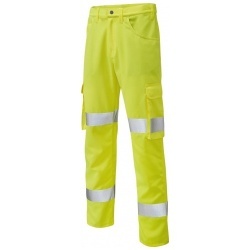 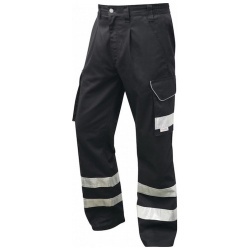 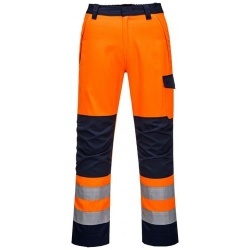 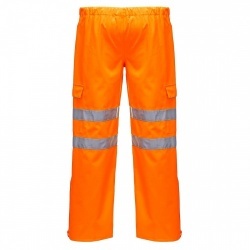 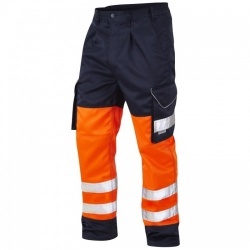 Hi visibility trousers are suitable for working on roads or near the track side. 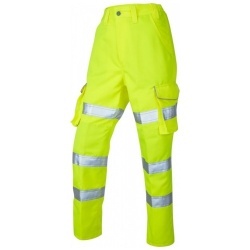 We stock a wide range of waterproof and washable hi vis trousers in many sizes with utility pockets from our hi vis clothing range. 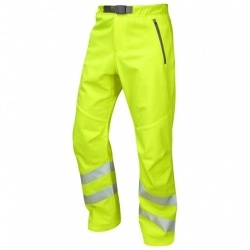 If you need reflective safety trousers at very competitive prices you can order them here today. 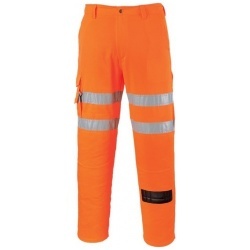 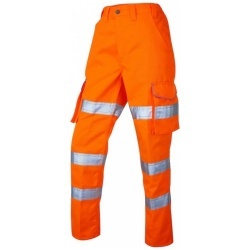 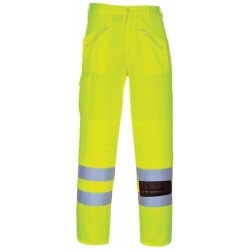 High visibility reflective cargo trousers are made from a range of fabrics, fluorescent orange or yellow and conform to the standard EN471 for work Hi Vis, required for working in such environments as construction sites, recovery roadside assistance and railways. 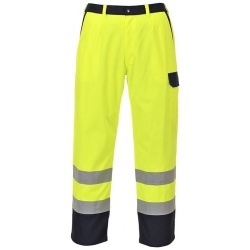 A very popular cargo trouser are the Leo Workwear Bideford hi vis trousers, designed with 3M Scotchlite reflective tape and an additional reflective stripe on the pocket for enhanced night time visibility. 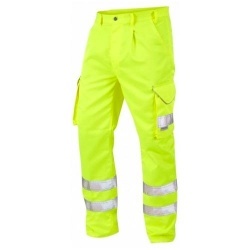 Other favourites include the Landcross and for the women's department the Pennymoor, we also have a range of hi vis trousers from Portwest.